This is *not* the book advertised. 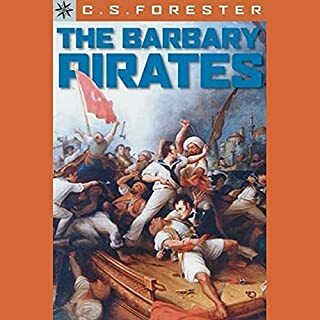 In this thoroughly researched book the author argues convincingly that Forester's model was Adm. James Gordon, a flesh-and-blood hero of Nelson's navy. Gordon entered the Royal Navy as a semi-literate eleven-year-old and rose to become Admiral of the Fleet. He took part in major sea battles, frigate actions, single-ship duels, and operations far behind enemy lines. It was the fire of Gordon's ships against Fort McHenry that inspired the American national anthem. A shot rang out. The Arabs surged forward under a savage fusillade of heavy fire. Nearer and nearer they came, shouting with hate and blood-lust. Geste rushed up and down his side of the roof, pausing only long enough to load his rifle and fire into the shrieking mob below, hoping to trick the Arabs into believing the fort was heavily manned. ©1935 C.S. Forester (P)2014 Audible, Inc. I love the movie and the book just fleshed it out nicely. Then came the ending and I was minutely disappointed. Not enough to dislike the book. This is a great book. The characters are well developed and interesting. The dialogue is often witty. The narration is excellent. Two all time memorable characters, Charlie Allnut and Miss Rose Sanger. I love when she says, Nature Mr. Allnut is what we are put on this earth to rise above! like the ending of the movie much better. They went all that way and yes they are in one piece at the end, but did not finish their mission. Ending so weak. 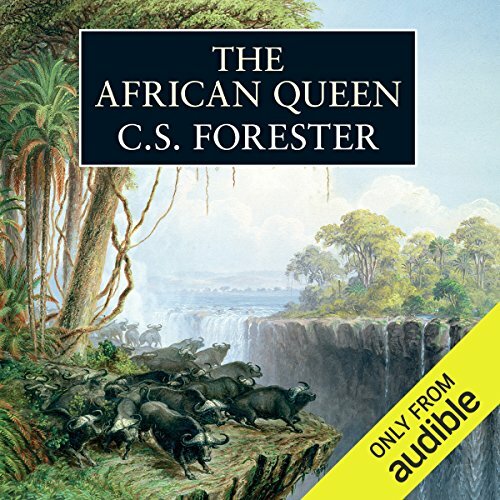 Would you consider the audio edition of The African Queen to be better than the print version? What was one of the most memorable moments of The African Queen? The character developement and realationship between the main characters was great. Have you listened to any of Michael Kitchen’s other performances before? How does this one compare? Get this even if you have seen the movie, the movie is great but does not have the rich character developement that this book has. C.S. Forester & Michael Kitchen: Excellent! I loved the movie with Humphrey Bogart and Kathrine Hepburn and am a serious Michael Kitchen fan (Out of Africa, Foyle's War, Falling, Alibi, Reckless/Reckless: The Sequel, The Guilty, etc. ), so I could not pass up the combination of Forester's novel (which I read long ago) and Kitchen's expressive voice. I was not disappointed. I would have given it 5 stars if the book hadn't ended so abruptly. There is a smile in the narrator's voice as he reads. Forrester always offers a compelling narrative, and this is one of his best. Michael Kitchen is a great actor, but this particular audio was cloudy in parts, especially where he tries to convey Charley Olnut's cockney accent. Forester is an amazing storyteller and his details pull the reader in instead of boring them. It was interesting to see how they made the Bogart movie using the best pieces of the book (although I like the movie ending better for once). I recommend all of Forester's books! If you could sum up The African Queen in three words, what would they be? The characters were wonderfully written and wonderfully performed by Michael Kitchen. I was riveted when they were going down the rapids. If you could take any character from The African Queen out to dinner, who would it be and why? 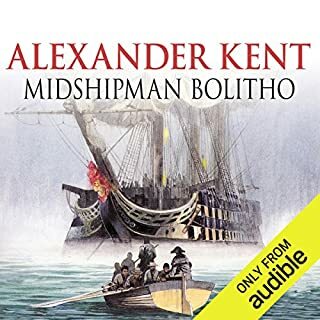 It would be the narrator, Michael Kitchen! Because he is so good! 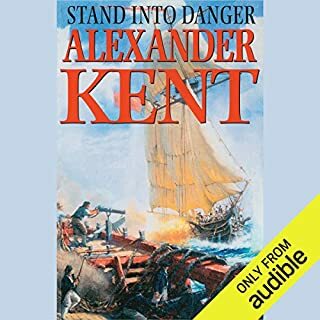 I bought this audio book because Michael Kitchen was the narrator, as I think he is one of the best actors around, I was quietly confident that his narrating skills would be just as wonderful, and indeed they are. He is very much an actor who understands the importance of the voice and dialect when creating a character and because of this he really brings the characters and the sense of time and place to life. 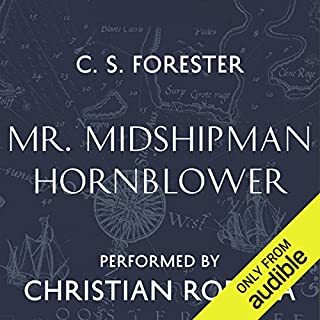 From listening to the book it seems that C.S Forester is a details author, taking great care in describing the difficult journey Rose and Allnut take, so it was probably best that I listened to the audio book rather than reading it. The story itself is actually a rather tragic. Rose and Allnut are two characters who seem to have always been somewhat - inconsequential in world and with the outbreak of the First World War nothing has changed. 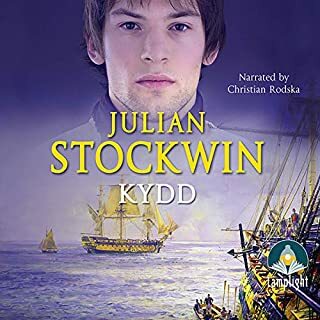 Their attempt to strike a blow for England comes across as a desperate need for purpose than an heroic grand scheme and needless to say the tone of the book suggests early on that things may not go quite to plan. 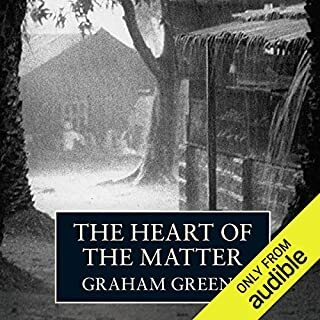 A great story, well written but for the ending which is very poor. The ending in the flim was better.